The role-playing game challenges players to form a team of heroes and save the world. 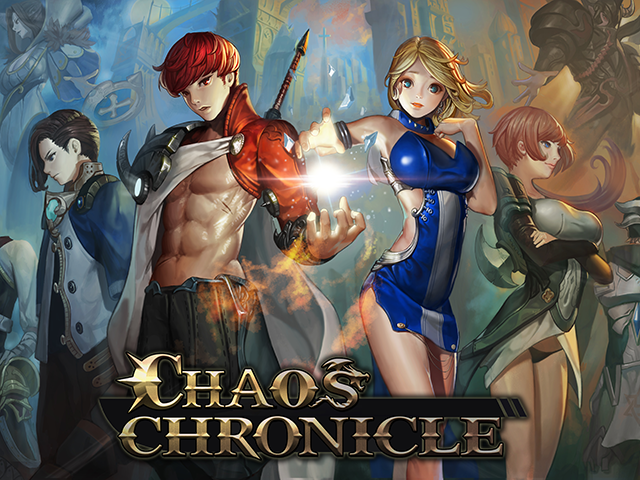 Nexon Korea announced the launch of Chaos Chronicle on iOS and Android. The role-playing game challenges players to form a team of heroes and save the world. In Chaos Chronicle, players complete level-based battles, which see their heroes attack enemies automatically. Each hero has a special ability that players can trigger during battle by tapping their character portrait at the bottom of the screen. These abilities take time to recharge. In addition, once players reach a certain point in the game, they’ll have the option to toggle auto mode, which allows the game to trigger abilities automatically. Gamers can recruit new heroes to their teams over time. Users may receive new heroes for free by completing battles, or they can purchase heroes instantly in the store. As players collect extra heroes, they can transfer the experience points from unwanted heroes into the heroes they’d like to keep, making them stronger. In addition, users can spend coins to instantly increase their heroes’ stats. In addition to completing story-based levels, players can also complete daily and weekly missions to earn extra rewards. The game also includes player-vs.-player battles, raid boss battles, guilds and more. Chaos Chronicle is available to download for free on the iTunes App Store and Google Play.